In assessing author John Steinbeck’s writing, we shouldn’t forget that few people inside or outside the labor movement have done more for America’s perpetually oppressed farm workers. Steinbeck played a vital role in the long history of attempts to bring a decent life to them that were begun by radical union organizers early in the 20th century and that the United Farm Workers has continued to this day. He stirred up the country to an extent unmatched until the coming of the UFW in the 1960s with its boycotts and other broadly-supported actions led by Cesar Chavez. “The Grapes of Wrath,” Steinbeck’s Pulitzer Prize-winning novel of 1939, had the greatest impact. The dramatic, plainly written, stunningly realistic epic of migrants who left their drought-stricken farms in Oklahoma and other southern and southwestern states to seek work on California’s corporate-controlled farms was a run-away best seller. As successful, popular – and realistic – was the film version staring Henry Fonda. 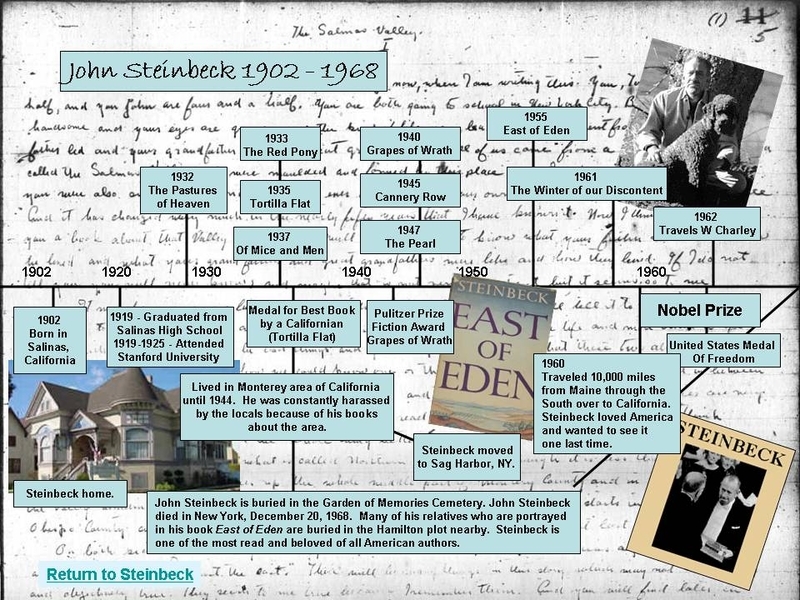 Growers and their allies in politics and law enforcement denounced Steinbeck as a liar and worse, threatened him with physical harm and had the book banned and burned in several farm communities. The book’s opponents feared, more than anything else, that it would inspire support for granting farm workers the right of unionization. Much of Steinbeck’s earlier work – short stories and journalism as well as novels – also effectively exposed the workers’ plight. That included the violent suppression of the several strikes they waged in the early and mid-1930s to demand union rights. Public concern over their treatment reached a peak after the San Joaquin Valley was hit by a disastrous flood in 1938. Steinbeck and others told the country of thousands of homeless and starving families and of local officials and growers who fought to keep federal agencies from bringing in food and medical supplies for them, lest it decrease their willingness to take jobs no matter how bad the pay and conditions. The articles and others in The Nation magazine and elsewhere led screen actress (and later Congresswoman) Helen Gahagan Douglas to form The John Steinbeck Committee to Aid Agricultural Organization. But grower allies in the State Legislature blocked the committee’s attempts to get collective bargaining rights for farm workers. There were hopes, however, that heightened public pressure would bring farmworkers under the federal law that had granted union rights to industrial workers a few years earlier. A U.S. Senate committee chaired by Wisconsin Progressive Robert La Follette Jr. concluded, after a series of highly publicized hearings in California Inspired in large part by the writings of Steinbeck, that the federal act should be extended to agriculture. But by the time the recommendation was formally issued in 1942, World War II was on. Most of the migrant farm workers were in military service or working in relatively high-paying war plants, and growers were demanding low-paid replacements as essential to the war effort. They got them through the federal bracero program that provided an unlimited supply of temporary workers from Mexico who were at least as poorly treated as had been the U.S. migrants. Their easy availability raised a barrier to farm unionization that was breached by the UFW only after the program was ended in 1964. Steinbeck also went on to other concerns after the war broke out. But he had provided invaluable aid to a key group of Americans who desperately needed it and had inspired and helped lay down guidelines for those who followed him.